Some animals are not suitable to keep in captivity, such as chimpanzees, gorillas and orangutans. Even small animals like penguins are very difficult to provide appropriate environment for them. For instance penguins usually have to walk long distance from their breeding colony to feeding place, but in captivity those situations are almost impossible to recreate. Among the most difficult species to keep in captivity is polar bear. 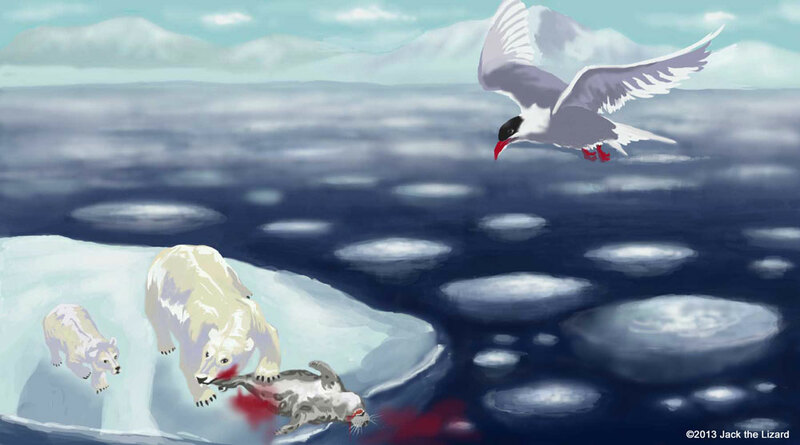 That is relatively easy to imagine because wild polar bears live in extremely harsh environment. They are adapted to cold weather and vast land. Polar bears have guard hairs and thick fur underneath. Glossy hollow hairs are insulation when they are wet. Fur and black skin underneath absorb heat and keep their body warm. Thick blubber also protects them from cold. However polar bears are not able to control their body temperature in the extreme heat. In the wild they dig the ground to make day beds and rest in to cool down. They often cover those beds with snow and sands. Organic material such as lichen, moss, grass and kelp are also used. Rocks and trees are also used as shelter and shade. It is absolutely necessary for them to avoid overheating. Home-range size and travel distance per day are closely related to how one animal do well in captivity. Polar bears are able to travel around over 80 km a day to find prey. They are also able to swim over 100 km when they must during their migration. Roaming might be also very important for those animals do roam because roaming makes their central nervous system develop properly. 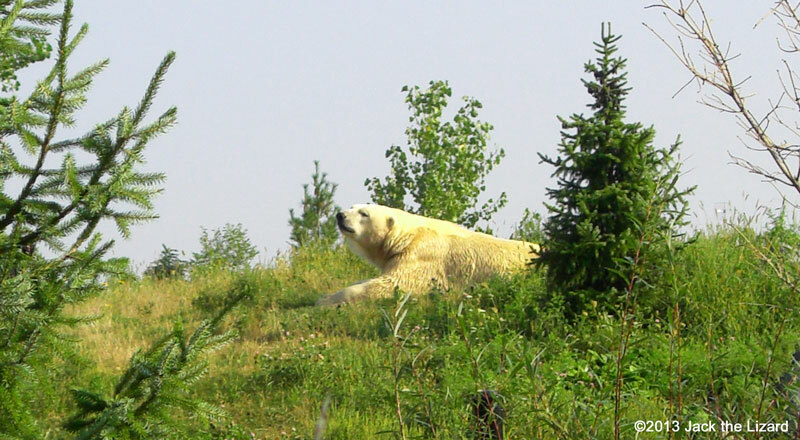 The home-range of Polar bears is the Arctic Circle and the part of Canada. It is not easy for them to find food such vast area, so they must roam. In the Arctic the temperature drops around minus 40 Celsius (minus 40 Fahrenheit) during the winter and wind chill makes it get worse. To adapt this condition polar bears are able to slow down their metabolism when they hardly find their prey. Also their sense of smell is extremely well developed and able to catch their prey’s odour 1.6 km (1 mile) away. There is no doubt polar bears are super predator on the Earth. They are the largest land carnivore adult male could grow up to 680 kg (1500 lb) in weight and 3 m (10 feet) long. The population of polar bears in the world is around 20,000 to 25,000. 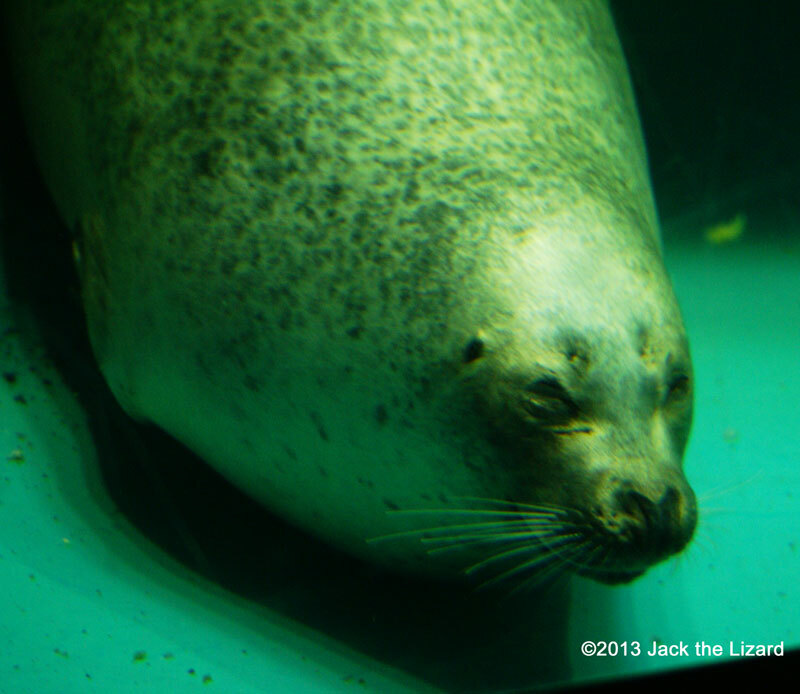 The main diets are ringed and bearded seals. They especially like to eat skin and blubber of those seals. Much larger prey such as walrus, beluga and narwhal are also on their food item. Last summer one polar bear died at Buenos Aires Zoo, Argentine because of overheating. Countries in which temperature hits over 30 Celsius (80 Fahrenheit) are not suitable to house Arctic animals in captivity. Many zoos in countries such as UK, Switzerland and Germany will eventually end to keep polar bears in captivity.